John is an exceptional writer whose prose oscillates between boring and brilliant. He's had an awesome life and this essay collection reads somewhat like an adventure novel, albeit an adventure novel recounted by a grandfather focusing 50% of his brain power on diction and another 25% on trying to make the wrong parts of the story seem charming. The only essay I would recommend to a general audience (e.g. my mom) is Violence of the Lambs. it is really something special. Most other essays I found interesting only for the sheer amount of research the author was willing to trudge through. While John demonstrates wide range as an essayist, his coverage of current pop culture (specifically in #5, #6, #8, and even #14) strikes me as forced, while his out-of-left-field pieces mostly strike me as uninteresting. This combination contributes to the collection being more objectively disposable than it should be. 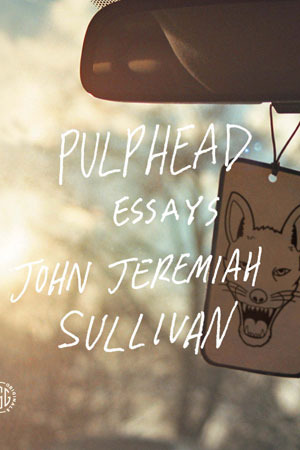 Sign into Goodreads to see if any of your friends have read Pulphead.